Have the Best Time at the Panguitch Quilt Walk! The Panguitch Quilt Walk is an amazing event honoring the beautiful tradition of quilting. Four days of various events provide an amazing way for both new and experienced quilters to come together and enjoy the pastime. More than just a recreational event, the walk also includes a charity component that helps girls in developing countries. When you register for the Panguitch Quilt Walk this year, make sure you download a copy of our complimentary Southern Utah Vacation Guide as well. 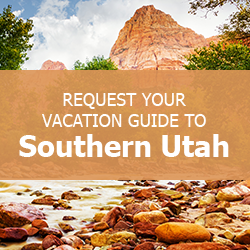 It contains great suggestions for other fun events, outdoor activities, restaurants, attractions, and all kinds of things to do in Southern Utah. When you download the Vacation Guide, you’ll have everything you need to make memories that you and your loved ones will cherish for years to come. Check it out, and begin planning your ultimate Southern Utah family trip today! 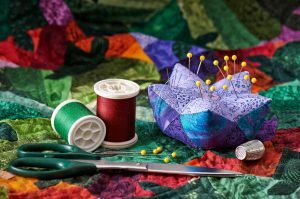 The Panguitch Quilt Walk includes a range of eclectic events that both quilters and quilt-appreciators will love. Starting Wednesday with a quilt show and vendors, and continuing into the evening with a Chocolate Fest and Silent Auction, the festival provides a little something for everyone. The calendar also includes Dinner Theater, a Pioneer Home Tour, a Tractor and Vintage Car Parade, and more! Of course, there will also be quilting retreat classes occurring each day. See the full schedule for the full listing and details about each event. The Panguitch Quilt Walk 2017 will take place from June 7 – 10, 2017. Register today and have a great time at this amazing, unique celebration! The Panguitch Quilt Walk also contains a charity component, and this year’s benefit organization is called Days for Girls. Days for Girls is a nonprofit that helps girls in developing countries stay in school, retain their dignity, and maintain good hygiene. You can help by donating sew kit elements used to make their high-quality feminine hygiene kits. For more information, check out the list of items needed. Then, bring your donations to the quilt walk! While you’re in town for the Panguitch Quilt Walk, stay at a Family Time Vacation Rental for the best possible experience of the town! Our gorgeous, spacious homes provide some of the best places to stay in Southern Utah! Casa Azul is a cozy Panguitch rental that sleeps six. Everything you need for a relaxing stay is already included – just bring yourself and your sewing kit! Grandma’s Cottage is a small bit of comfy luxury. It’s a one bedroom that sleeps two – perfect for a girlfriend’s getaway! If you’re attending the Panguitch Quilt Walk with a large group, the Grand View Lodge is a gorgeous gathering place that sleeps 24. Filled with everything you need for a great trip, many Family Time Vacation Rentals are located in the Panguitch, Duck Creek, and Brian Head areas, giving you easy access to the quilt walk and other great attractions. Contact us today! We look forward to helping you make memories during your next family getaway!